The Florida House of Representatives has released its own tax cut plan on the same day that Governor Rick Scott came to demonstrate his own ideas in the same building. The move sets up a clash in the legislature over which taxes should go. 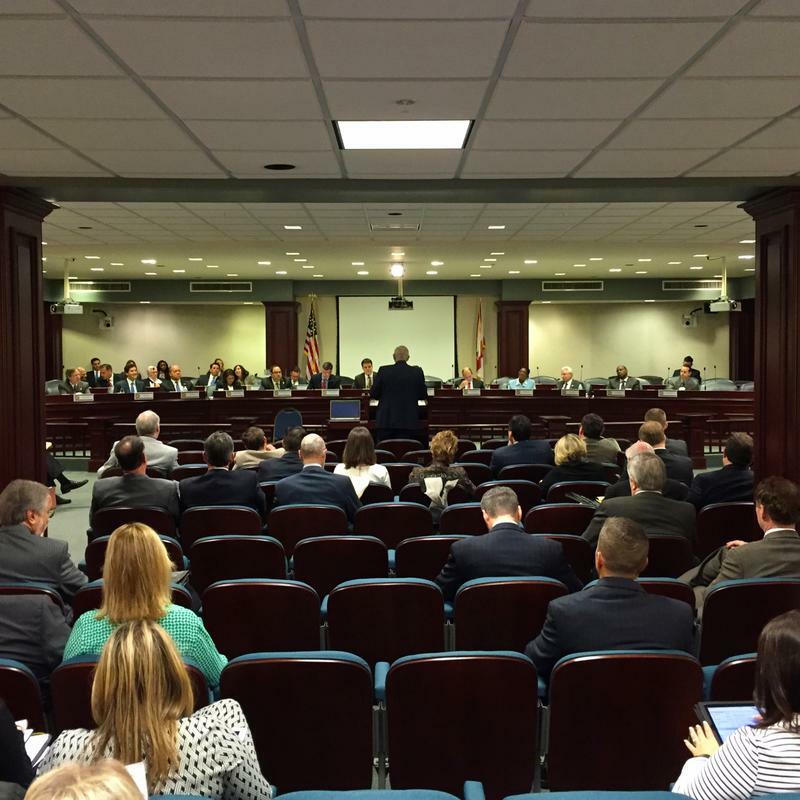 Members of the Florida House of Representatives gathered at the head of a small conference room. Behind them: a projection of a collage that reads #NoTaxIsSafe. With 17 items on the list of taxes to cut, that hashtag isn’t kidding around. The House plan eliminates at least $15 million more in taxes than the plan proposed by Governor Rick Scott. Rep. Matthew Gaetz (R- Fort Walton Beach), chairman of the Finance and Tax Committee, is adamant about driving the hashtag home as he laid each item out on the chopping block. Some say the House’s cuts exceeding the ones in Scott’s plan isn’t a coincidence, that the House is expressing their disapproval with how quickly many of Scott’s tax cut plans are moving through the senate. Something that may add credence to this theory is the governor’s appearance in the lobby of the capitol building just an hour later, to kick off his “Cut My Taxes week,” an event to promote his own tax cut plan. Rick Scott spent time in the capitol rotunda, reading off people’s communication bills and determining how much they’d save under his plan. Scott’s booth drew quite the substantial crowd, even attracting the UF mascots Albert and Alberta the Alligators, who stuck around after visiting the capital with their school. They presented Scott with a mock bill, which he happily calculated for them. Many of the items on both Scott’s bill and the House’s intersect, including the communication tax cuts that the governor was demonstrating at the capital. However, the house has yet to file a bill relating to communications. Rep. Gaetz was asked what message, if any, he was sending to the senate with this plan. …Why in the world would alligators need a television, or cell service? Florida Gov. Rick Scott is touring the state in support of his plan to cut cable and cellphone taxes. He’s finding support in the statehouse but some lawmakers would prefer more targeted tax breaks. The Governor is making noise about a proposal to lower Floridians’ taxes by more than $600 million. The response from Matt Gaetz (R-Fort Walton Beach) chair of the House Finance and Tax committee is effusive. Governor Rick Scott will be getting his half-billion dollars’ worth of tax breaks for Floridians. The Senate has approved an extra $105 million in tax breaks Thursday. The deal divvies up the funds between a dozen different proposals, including extra tax breaks for manufacturers and new sales tax holidays. Senate Appropriations Chairman Joe Negron explains the package. 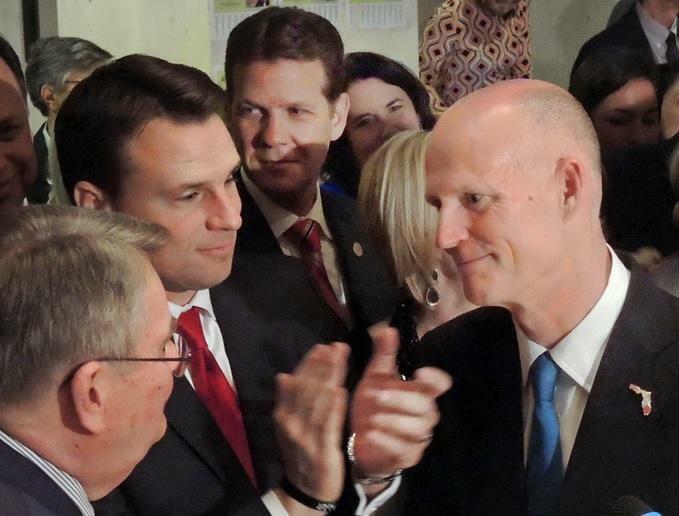 Florida Governor Rick Scott left raises for state workers out of this year’s budget. But State Representative Mark Pafford (D-Palm Beach) says he thinks those workers deserve to be better paid. Governor Rick Scott presented this year’s budget on Wednesday. Absent was a pay increase for state employees. Scott had considered giving bonuses for good work last year. He blames lawmakers refusal to approve that money last year for omitting pay raises this year.